Winter Sun is soothing and comforting. Last weekend we were out on a trip near a forest. We went out on a bird watching walk in the morning. The air was crisp, fresh and cold. 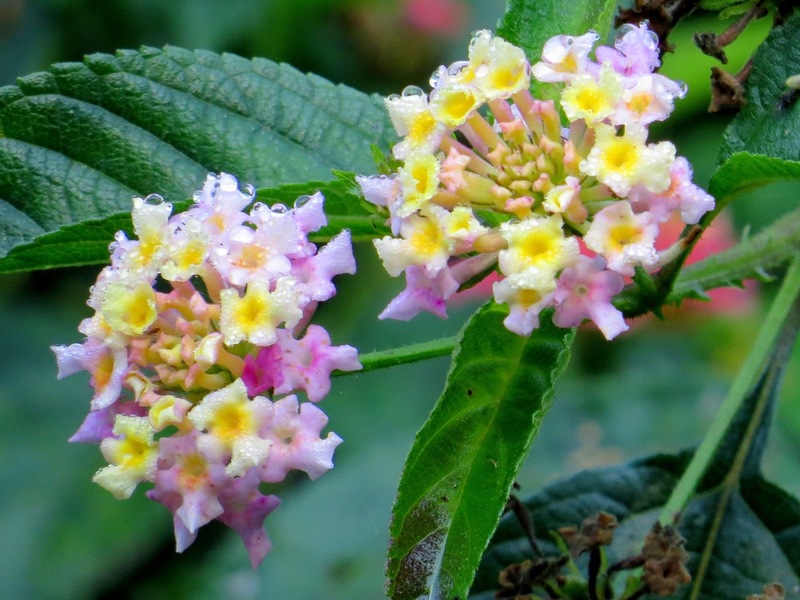 We walked on the dew-laden grassy narrow track bordered by the lantana bushes. 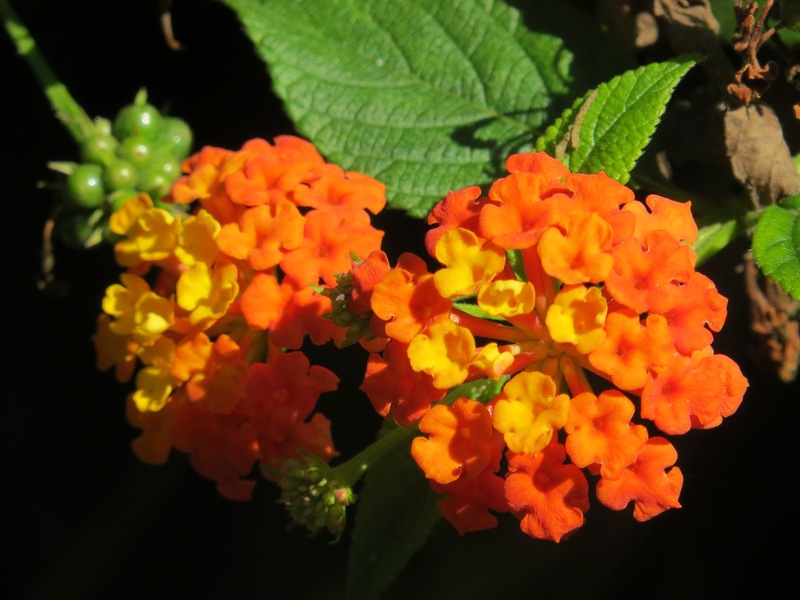 Different colours and shades of Lantana were mesmerizing. 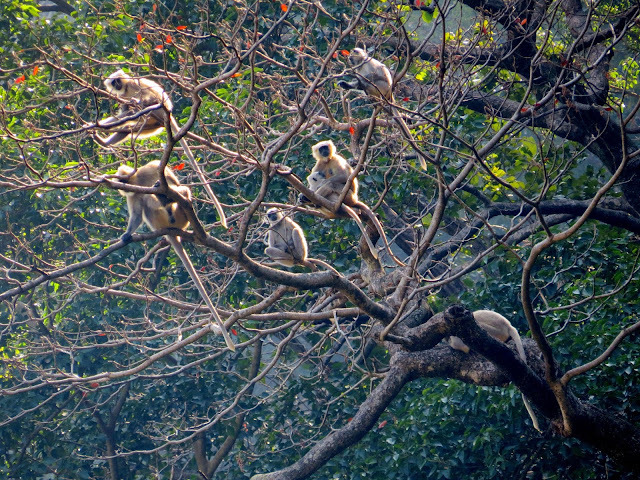 Far in the forest, we spotted a bunch of langurs (black-faced monkeys) sunning themselves in the higher branches of a tree. Walking in the forest is therapeutic. The scent of the foliage, wildflowers and the warmth of the Sun is pure heaven. 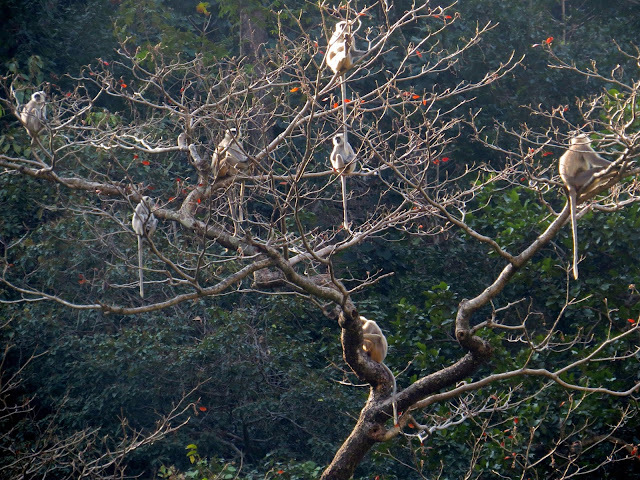 It is late afternoon. We are soaking in the Sun. The heat of the Sun will soon wane and the cold wave will take over our world. Our home is smelling heavenly as the Slovak Paska is baking and the yeasty aroma is wafting through. Soon the timer chimed. Kids rushed to see the bread. We squealed with joy to see a beautiful golden fragrant bread out of the oven. We sliced the bread next morning and loved it. Holiday and festival bread takes many decorative shapes. Paska is baked around Easter and is traditionally eaten in Eastern European countries. 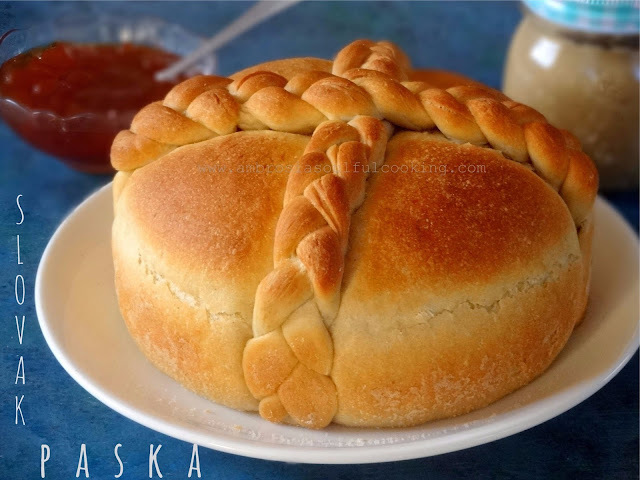 Paska is often paired with a custard-like cheese or a delicious cream cheese spread. Mix ¾ cup water and sugar and add yeast. Give a stir, cover and let it sit for 10 minutes. Add milk to this mix. In a large bowl, whisk together flours and salt. Add butter and mix well with hands. Transfer dough to a greased bowl. Turn around once so that it is coated with oil all around. Cover and keep in a warm place for about 1 ½ hour or until noticeably puffy. Turn dough onto a floured counter and divide dough into two pieces, one twice as large as the other. Roll the larger piece into a ball and place in a greased and dusted 8 inch round cake pan. To shape the larger piece into a ball, use your thumb and the palms of your hands to stretch the surface of the dough downwards. Stretch the skin on top and tuck it in. Idea is to stretch the gluten and create surface tension. A taut skin helps the bread to maintain the shape during the second rise enabling the bread to rise up and not spread sideways. Divide the smaller piece of dough into three parts. Roll out each part into thin long strands. Pinch the strands at the top and make a long braid. We need two braids. Cut the long braid into two. Pinch ends. Tuck the end under the big bread, run it over the top and tuck the other end on the other side. Cover and keep in a warm place to rise for 1-2 hours. Brush the top of the bread gently with milk wash and bake for 35-40 minutes. Tent with a foil if the top is browning too fast. Remove from the oven, cool on a rack. Slice when cold. We take turns hosting each month and choosing the theme/ingredient. Our host this month is Kalyani who blogs at sizzlingtastebuds She chose to bake holiday breads from around the world made healthier with wholegrain flours. This was a lovely ides Kalyani. 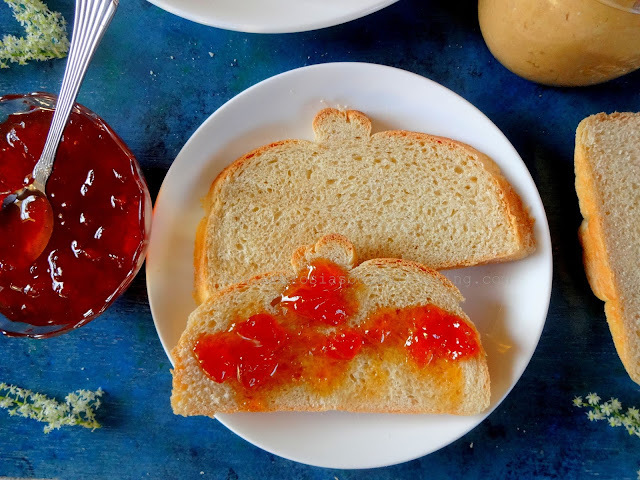 It made the bread healthier. What gorgeous bread and what a paradise in which you live. I look forward to your posts each month. This bread is so beautiful and perfectly shaped! P.S. The photos of the monkeys put a big smile on my face! 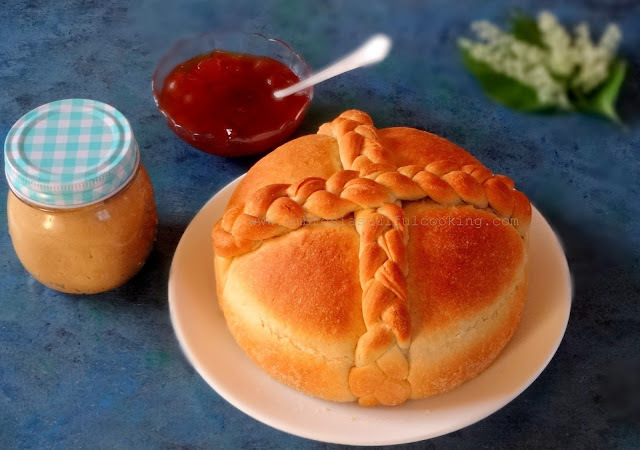 That is a beautiful bread Namita. Looks like a cake -- so pretty, soft and delicious. stunning pics, lovely braid on top ! and to say its eggless as well ! 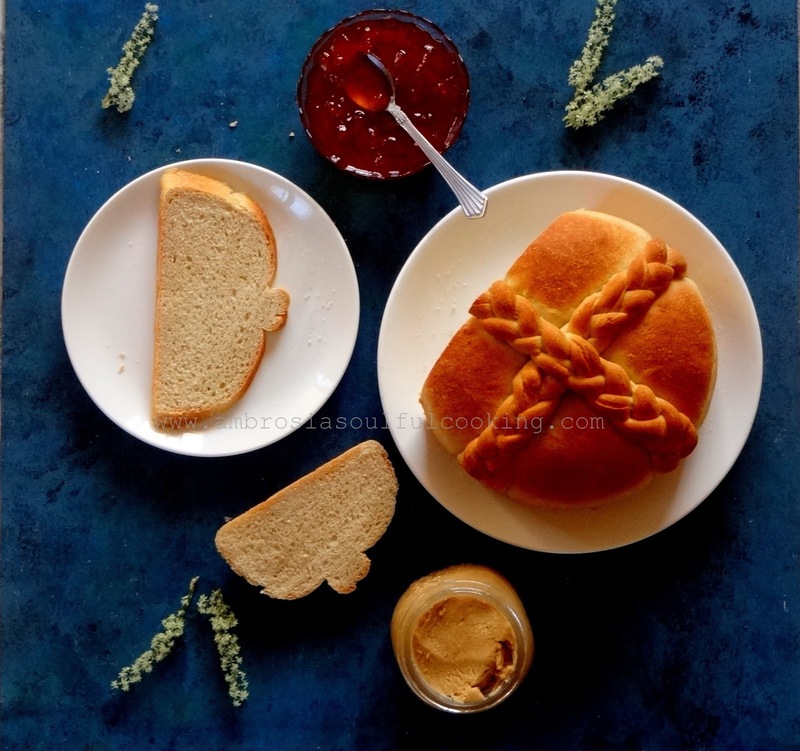 loved ur bread, Namita ! What a beautiful loaf of bread Namita, love it. Love the other photos too. 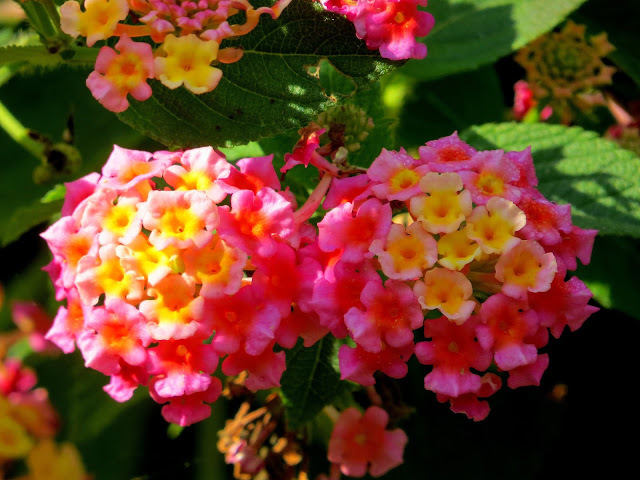 Reminds me of the flowers that grew in our garden in Nairobi where I grew up.